As per the latest reports, Maruti Suzuki has discontinued the popular and iconic Gypsy SUV after a chequered legacy of 33 years. Dealerships have stopped taking bookings officially for the Gypsy and it has been discontinued since it will not adhere to upcoming crash testing regulations and BS-VI emission norms. 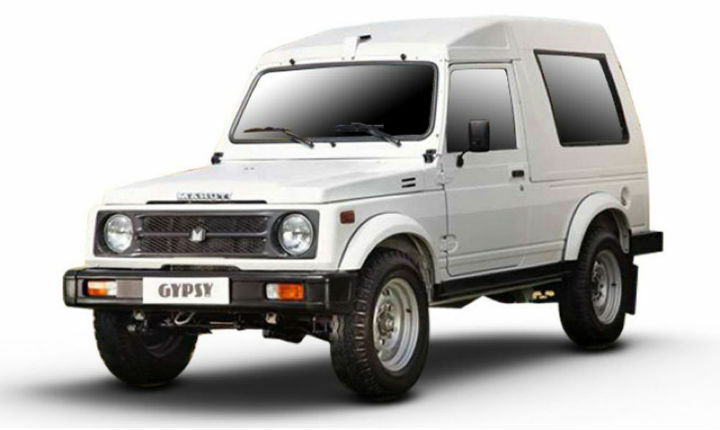 Maruti Suzuki first launched the Gypsy in the year 1985 in the Indian market and it is one of the country’s few models to have witnessed such a long production stint. The Gypsy was sold on a made-to-order framework and even then dealerships have stopped taking bookings in recent times. The Gypsy has been an iconic vehicle on account of its solid off-roading abilities and its optional all-wheel drive (AWD) setup. The Gypsy `has also been the vehicle of choice for the Indian Armed Forces for several years and also in the rallying circuit. The Gypsy in its last avatar had a four cylinder 1.3 litre petrol engine that dished out 80 BHP and 103 Nm of peak torque. The engine was paired to a 5-speed manual transmission system. The Gypsy originally arrived with the F10A 970 cc four cylinder petrol mill. There is widespread speculation about Maruti Suzuki launching the new-gen Jimny in the Indian market as a replacement for the Gypsy in the near future. However, no official information has been released till now by the company with regard to the launch of the Jimny here. GET THE MFCW ADVANTAGE! FIND USED CAR DEALERS IN DELHI ! Previous How Safe are Hyundai Cars?